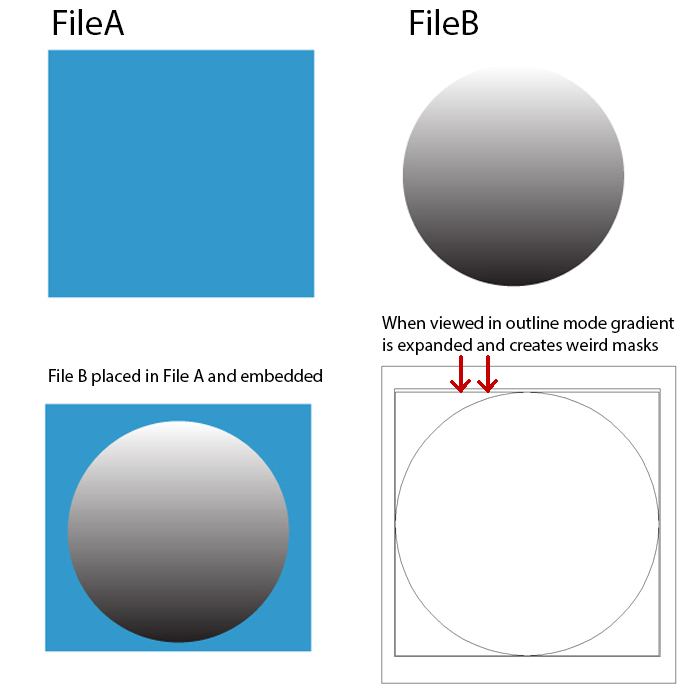 I've placed File B (a circle with a gradient fill) inside File A (simple blue background). Is there a way to embed and expand a file with a gradient inside of it in such a way that the gradient is preserved as a regular fill? Browse other questions tagged adobe-illustrator gradient embedded or ask your own question. Can you use the Blob brush in illustrator to add to an existing “blob” with a gradient color? How do I fill my vector file with color? Which way is better for creating logo in illustrator?